TNR accomplished building our biggest door ever! Our amazing Production team takes great pride in building this massive door for a waste facility in Brampton, Ontario. Total Shipping Weight 25,230 pounds. That’s 12.6 tons of TNR terrific-ness! 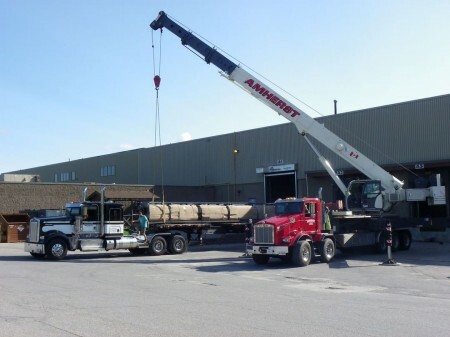 We hired a crane to load it onto a flatbed truck for transport to Brampton where another crane will unload it on-site. Posted on Friday, October 05, 2018.